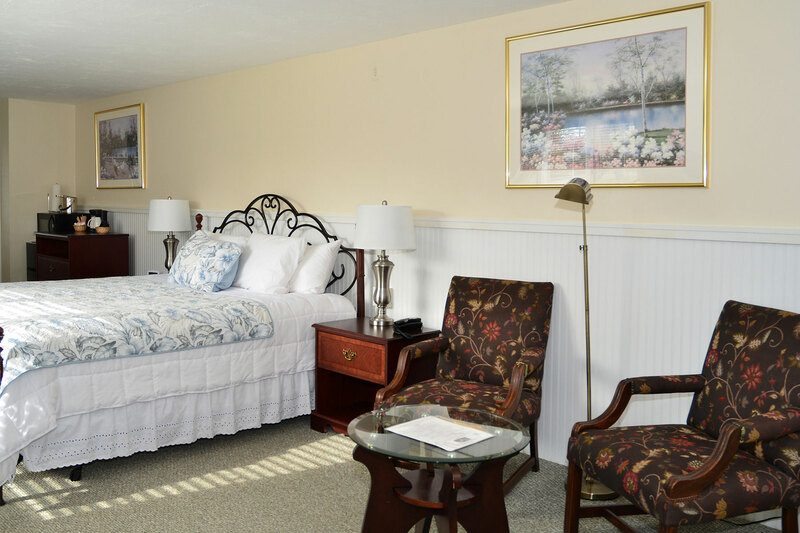 The Red Horse Inn offers 5 room types. 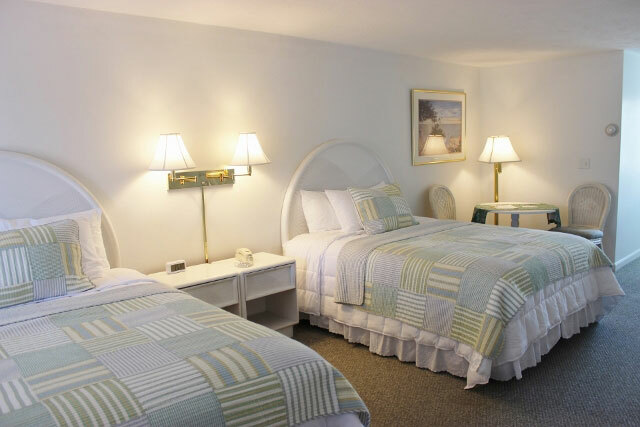 All the rooms are bright, clean and spacious. 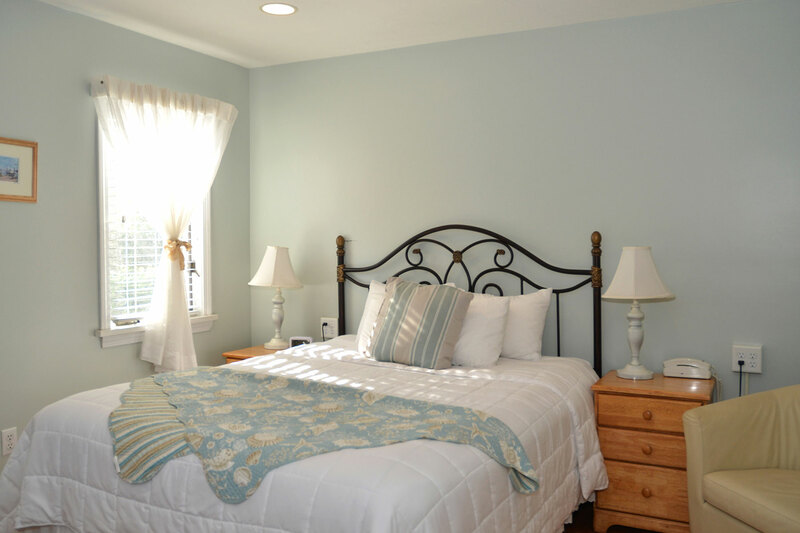 They are all custom decorated and have a private bath, individual heat and air conditioning, TV, Free WiFi, hairdryers, iron & ironing board, refrigerator, desk and sitting chairs. Microwaves and coffee setups are available upon request. Our Cottage Kings have all of the above amenities plus a microwave. And, included in our Executive King Room is a microwave and a coffee setup. Please click on the rooms below to find more detailed room information. 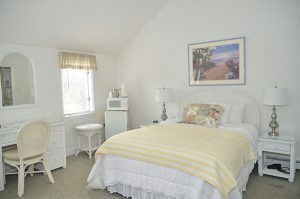 Our Cottage Queen rooms are on 1st or 2nd floors in both buildings. They are classic Cape Cod cottage style. Free WiFi, Refrigerator, Iron & Ironing Board, TV, and hairdryer. Very comfortable and cozy first floor King bedroom. 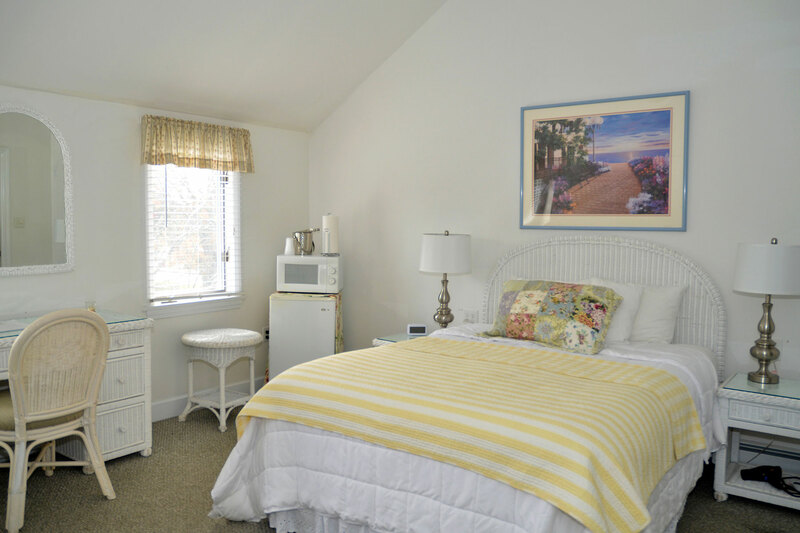 Our Cottage King rooms include all the amenities plus a microwave for your convenience. 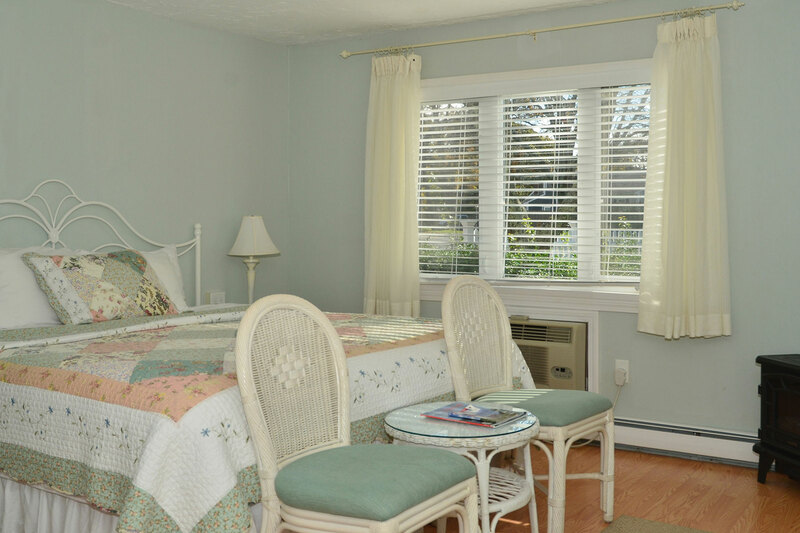 Double Queen bedrooms are tastefully furnished in a Cape Cod style with ample seating to match. They can accommodate up to 4 guests. Rates are based on double occupancy. Cozy and romantic 1st floor end unit.